These magnetic sheets are ideal for creating magnetic backed products like calendars, business cards, photos, graphic displays and signage. With Magnosphere self-adhesive sheets you can easily stick on to the back of your pictures and personalise your photos. Make original and creative magnet designs! 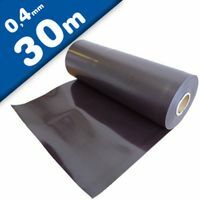 Our “plain brown” magnetic sheet is supplied in widths of 650mm or 1000mm. The magnetic side has a UV coating which gives a cleaner finish and prevents marking the surface that the sheet is applied to. the material is particularly suited to the application of your own vinyl graphics and the material is frequently used for signage, display and promotional magnet solutions. The material is particularly suited to the application of your own vinyl graphics and the material is frequently used for signage, display and promotional magnet solutions. We find that the plain magnetic sheets are used mostly for creating magnetic signs, displays and promotional magnets. The magnetic side has a UV coating and the material is particularly suited to the application of your own vinyl graphics and the material is frequently used for signage, display and promotional magnet solutions. We are able to cut rolls to length, slit rolls and offer cut piece or panel solutions for your specific requirements. The plain magnetic sheets are brown on both sides with a UV coating on the magnetic site. This makes the magnetic side easy to find and helps with protecting the magnetic material. Available in several sizes and widths. The material is particularly suited to the application of your own vinyl graphics and the material is frequently used for signage, display and promotional magnet solutions. Plain brown magnet sheeting is a permanent magnet material with one side magnetized and the other side not magnetized. The magnetic sheet has one magnetic face and can be put against itself to attract magnetically, but it is normally put against a ferromagnetic surface (mild steel sheet, ferrous sheet, etc). The magnetic sheet material can be easily cut with scissors, craft knife and dedicated plotter cutter. Regular shapes can be cut using inexpensive dies. Plain brown magnet sheeting is a permanent magnet material with one side magnetized and the other side not magnetized. 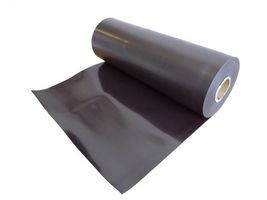 The non-magnetized side can be laminated with PVC, PP, paper or any other substrate or fabric.